We got an early look at the MediaPad M5 during MWC in February, and it’s available in 8.4-inch and 10.8-inch flavors. No matter which screen size you choose, the M5 tablets are powered by Huawei’s own Kirin 960 processor and 4GB RAM with 64GB of internal storage (expandable via microSD card). You’ll also find a 13MP camera on the back of the tablets, an 8MP front-facing one, and Android 8.0 Oreo with EMUI 8.0. Both models also share the same resolution of 2560 x 1600 despite their different screen sizes, but the 10.8-inch model has a much larger battery at 7,500 mAh compared to the 8.4-inch one’s 5,100 mAh unit. If you’re interested, The MediaPad M5 8.4-inch costs $319 while the 10.8-inch model goes for $359. 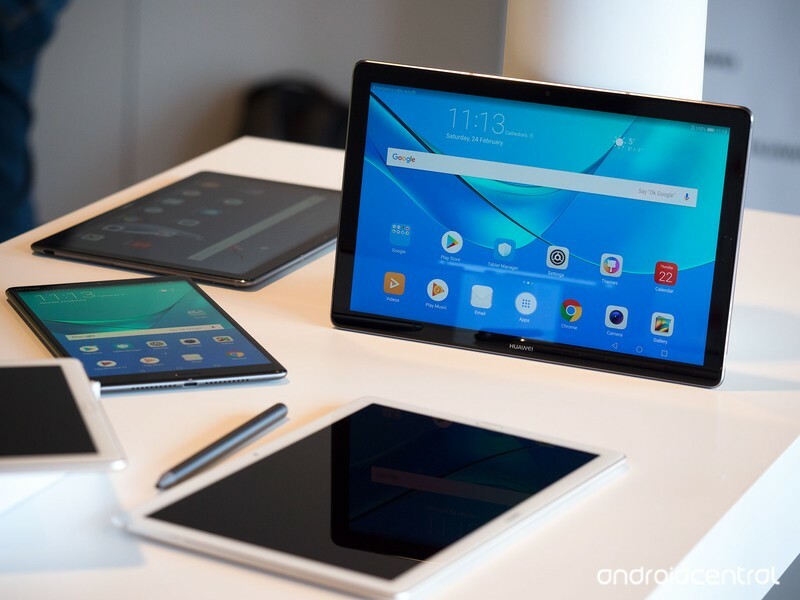 Huawei’s also selling a Pro variant of the 10.8-inch M5 ($449) that comes with the Huawei M Pen Stylus and a keyboard dock that enables a custom desktop UI to help you stay as productive as can be.